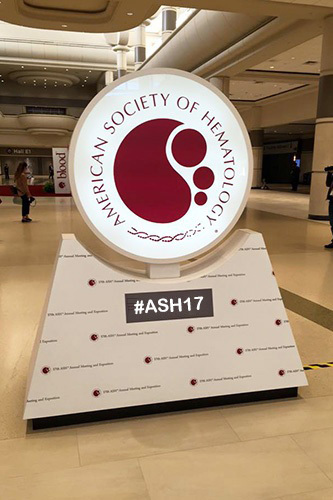 Nearly two-dozen Winship Cancer Institute of Emory University physicians and researchers will present at the 59th Annual Meeting of the American Society of Hematology (ASH) at the Georgia World Congress Center in Atlanta on December 9-12, 2017. Among the highlights will be lectures by three Winship researchers during the conference’s scientific program. Multiple myeloma researcher Larry Boise, PhD, will discuss the biology of protein homeostasis as it pertains to myeloma cell growth and survival. Immunology expert Rafi Ahmed, PhD, will review studies of the differentiation of T cells in response to acute and chronic viral pathogens and tumors. Wilbur Lam, MD, PhD, will describe how microchip-based technologies have enabled the development of “endothelialized” microfluidic devices to model clot formation under physiologic flow conditions in vitro. Other Winship specialists will share their research at the conference through speaker sessions, oral presentations, and poster abstracts. Over 20,000 attendees are expected to attend the annual conference providing the latest advances in hematologic malignancies including leukemia, lymphoma, multiple myeloma and other blood disorders. View a complete list of abstracts from this year's ASH Annual Meeting.